21 years old and not yet married, Marie is beginning to despair of her chances when she meets her perfect man at a party. Tall, dark, muscular, and brooding, Lord John Sandover is everything she ever wanted. While her only thought is of the steamy wedding night, there is a lot she doesn’t know about him. How will she react when she finds out his deep, dark secret - that he can turn into a wolf? And what dangers are lurking in London for anyone close to him? 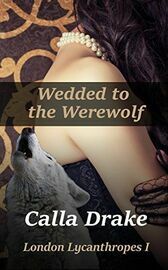 Join Marie as her marriage takes her places she never thought possible in Wedded to the Werewolf, the first short in the London Lycanthropes series.